Dim Sum has been a difficult task to find a good place in Calgary – considering factors like price, location, parking, taste, etc. I had my hopes high as we came for dim sum at Regency Palace since we attended a wedding here and the food was absolutely amazing. 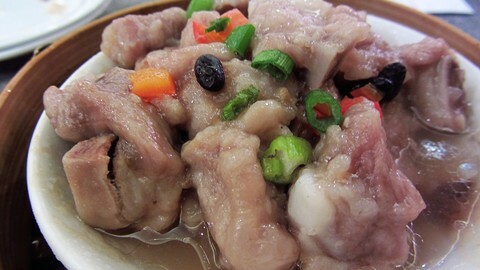 Thinking that the food and service was good – we finally came for dim sum. One of the neat things about Regency Palace is the fact they have stations where you can get food, so you’re not limited to what’s being pushed out on carts only. They have a whole buffet area in one corner or the restaurant, as well as a noodle stand and a flat top grill area. We got some Pan Fried Rice Crepes from the flat grill station near the centre of the restaurant. These are really good and you’re able to pick the sauces you want to dip these crepes in! As it was Chinese New Year weekend when we went, and even though I’ve been trying to make lo bak gao, we still ordered some anyway. The plate came with 2 pieces of lo bak gao and 1 piece of tara cake. The Lo Bak Gao wasn’t too daikon tasting and was really quite firm. 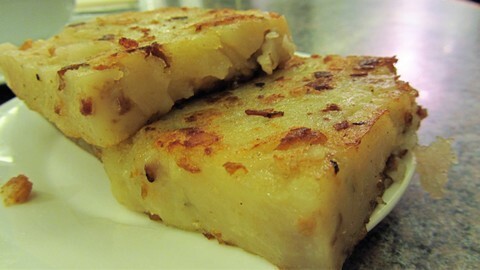 There wasn’t a lot of ingredients in their lo bak gao either, but it was pan fried really nicely! 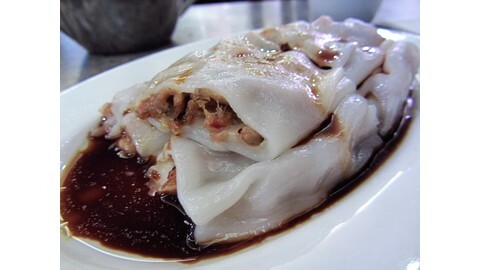 Then, we ordered some Steamed Rice Noodle Roll with BBQ Pork from one of the carts that went by. This wasn’t bad actually! They had quite a bit of filling and the texture was really good too. The BBQ pork was really good, but I think it would’ve been nicer to have more filling! 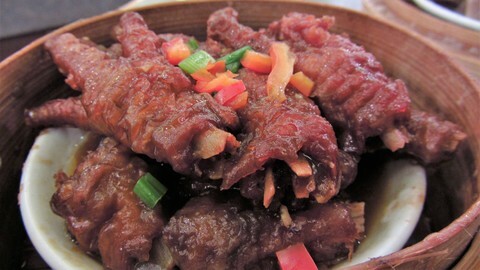 From the buffet dim sum area, we picked up some Chicken Feet which wasn’t bad. The skin came right off the bones and packed of flavour. It was quite fresh and really good actually! Our last item we ate for this dim sum lunch was some Spareribs and even though it looks kind of pale, it was really good. The pieces they use was mostly the ones with the single big bones, instead of the softer bones which made it a pleasant eating experience. 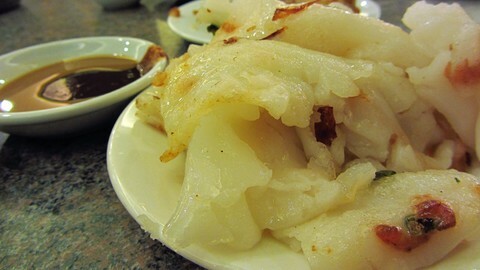 The sauce and flavour was all really good – very comparable with other good dim sum locations. Overall, it was a very decent dim sum place to eat. I love the space as it was really large and the fact it has other options for food for those customers who don’t want to just eat dim sum. As well, the use of the buffet is a smart and convenient idea, as sometimes the carts run out of food by the time it gets to you. So, I really like the location, the options and the prices and food was alright. I love Regency for dim sum. It’s way better then Forbidden City. I now want Steamed Rice Noodle Rolls.